I love the stories and the vulnerability with which Linda shares from her own experience and leads us readers to Jesus! I especially like the practical ‘Heart Work’ at the end of each chapter. I will be recommending it to all my married clients! A marriage doesn’t deteriorate overnight nor is it rebuilt in a day—but how do you rebuild? What do you do while standing in the midst of the wounds and wreckage of a separation? 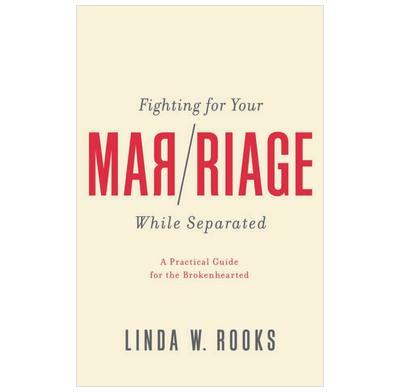 In this impactful book, Linda Rooks brings wise, compassionate, and practical insight for a couple trying to piece together a broken relationship. Linda shares what she learned in her own separation and reconciliation and what she has learned from others. We especially appreciate the practical suggestions for walking a messy road rife with various opinions on how to best proceed. The insights into a healthy reconciliation process will be invaluable to those on that path. This is a great resource we will recommend. Authors of Unfaithful: Hope and Healing after Infidelity; cofounders of Hope & Healing Ministries, Inc.